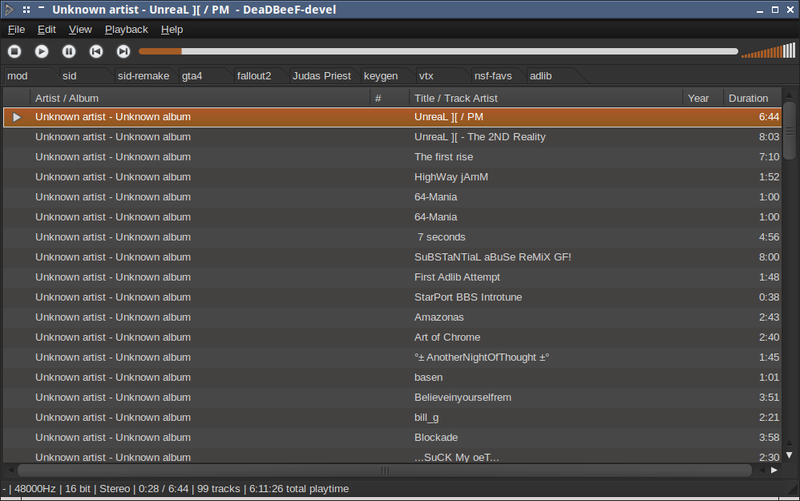 DeadBeef is probably the simplest and the most lightweight music player I have ever used in my Ubuntu. 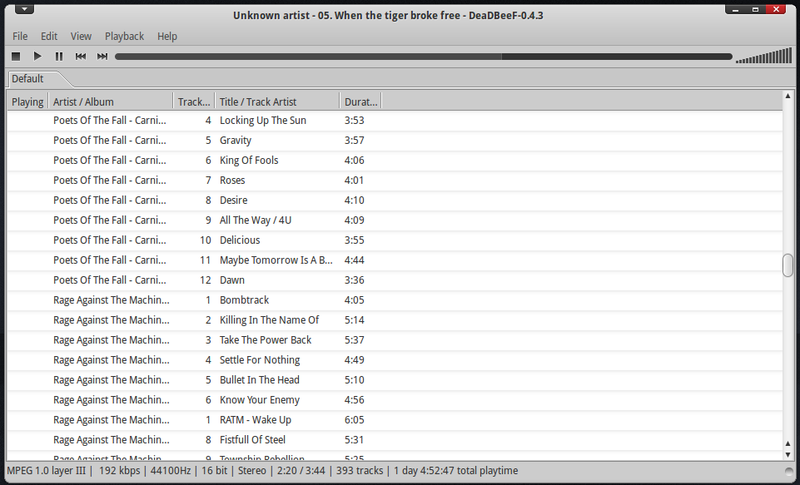 If you are someone who loves to keep it simple and useful at the same time, DeadBeef is one music player you definitely don't want to miss. DeadBeef is nimble, lightweight and at the same time feature rich. 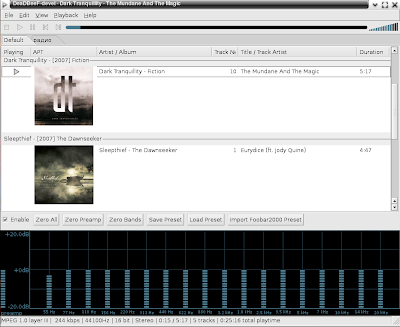 It constitutes almost all basic features one would ever expect from a music player. It has got last.fm/libre.fm scrobbling support, plays almost all kinds of music formats, takes very small amount of memory CPU and even has album art display capabilities. 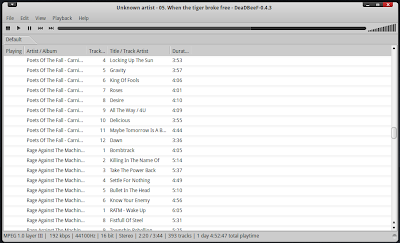 More about DeadBeef Music Player. 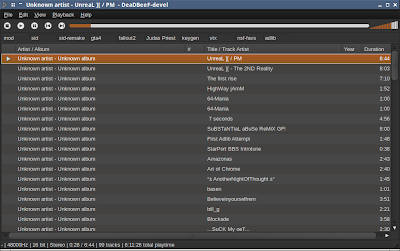 How to Install DeadBeef Music Player in Ubuntu Maverick, Lucid via PPA? Do the following in Terminal to install latest Dead Beef in Ubuntu. If you are using distros other than Ubuntu, visit DeadBeef download page. Between, you might want to check out Amarok 1.4 fork, Clementine 0.5 too.